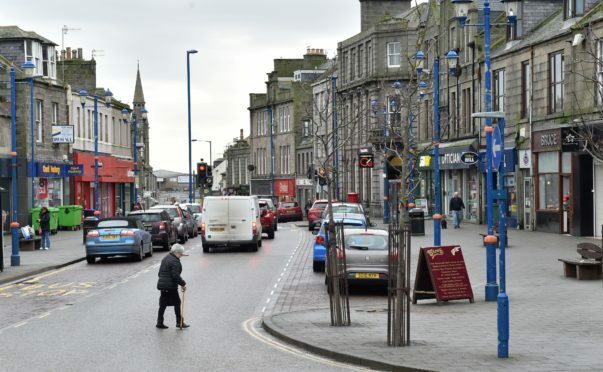 Residents of Fraserburgh are being urged to turn out and have their say on traffic measures during construction works in the town. Grampian Housing Association will transform a former garage on Cross Street into a block of 35 one and two-bedroom social rent flats. But although the development will help tackle the shortage of affordable housing in the area, concerns have been raised about access to local businesses if certain roads are closed for long periods of time during the building works. Today, local residents and business owners can find out more about the traffic measures planned. The site is being developed in partnership with Robertson who will also have representatives available at the event to answer questions. Councillor Andy Kille said: “Concerns had been raised by us local councillors about the public and if they had been made aware of the plans for traffic during development. Councillor Brian Topping added: “All of us are very supportive of the new housing development by the Grampian Housing Association but I know some of the plans involved closing part of the A90 to do works. “That will affect a lot of people and businesses in the area – even if they use a layby to keep traffic moving as it could be quite narrow, and will affect custom that is driving in. “Hopefully this consultation will help to minimise disruption. “If you build houses there’s going to be a certain about of disruption, which I think people will put up with if they know what’s happening before hand. Victoria Anderson, development officer at Grampian Housing Association said: “Working in partnership with Aberdeenshire Council and the Scottish Government, the development at Cross Street demonstrates Grampian Housing Association’s commitment to the regeneration of town centres. The consultation will be held in the URC Church Annexe on Mid Street from 11.30am to 2pm.